Home Sleep Could a narcolepsy drug help combat food addiction? Could a narcolepsy drug help combat food addiction? A prescription drug used to treat narcolepsy and other sleep disorders has the potential to help people whose obesity is driven by food addiction. This is the conclusion of a new study published in the journal Personality and Individual Differences. 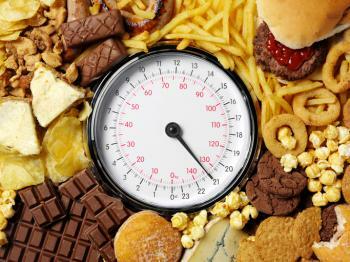 Researchers suggest that a drug used to treat narcolepsy may also help tackle obesity driven by food addiction. Study co-author Prof. Ivo Vlaev, of the University of Warwick’s Business School in the United Kingdom, and colleagues found that the drug modafinil (brand name Provigil) reduces impulsive behavior – a key contributor to food addiction. Modafinil is a wakefulness-promoting agent prescribed for the treatment of excessive sleepiness caused by narcolepsy, obstructive sleep apnea, and shift work disorder. While the actions of modafinil are not fully understood, it is believed that the drug promotes wakefulness by altering levels of neurotransmitters in the brain that regulate sleep and wakefulness, such as serotonin. Additionally, studies have suggested that modafinil can increase levels of dopamine in the brain – a neurotransmitter involved in reward and addiction. Research has also shown that people with food addiction often lack specific forms of dopamine and, since food can trigger the release of dopamine, researchers speculate that food addicts engage in uncontrollable eating in an attempt to fill this void. Furthermore, Prof. Vlaev and team note that modafinil seems to reduce impulsiveness in a variety of conditions, including schizophrenia, attention deficit hyperactivity disorder (ADHD), and alcohol dependence. Since impulsive behavior is considered a key factor in food addiction, the team speculates that the drug could benefit people who are obese as a result of food cravings. For their study, Prof. Vlaev and colleagues set out to further investigate the link between modafinil and impulsivity. The researchers enrolled 60 healthy men aged 19-32 and allocated them to one of three groups. One group was treated with modafinil, another group was treated with atomoxetine (a drug used to treat ADHD), and the final group received a placebo. The team found that the men who took modafinil showed a significant reduction in impulsivity, while atomoxetine was no better than a placebo for the men’s self-control. Obesity has become a serious public health concern in the United States, affecting more than a third of adults and raising their risk of stroke, heart disease, type 2 diabetes, and some forms of cancer. Based on their study results, the researchers believe that modafinil may be a feasible treatment strategy for obesity caused by food addiction. “Modafinil was found to have an effect on impulsivity in healthy individuals and so would be able to have an even bigger effect on food addicts, who are lacking in certain types of dopamine,” notes Prof. Vlaev. “This drug could be a real help to those people struggling to control their desire for food even though they know they should lose weight. Read how turning white fat to brown could help treat obesity.